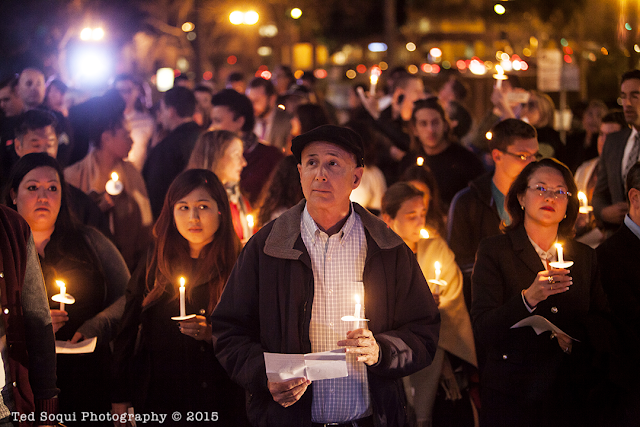 A candle light vigil was held at LA City Hall to remember the victims of the 11/13 paris terror attacks. 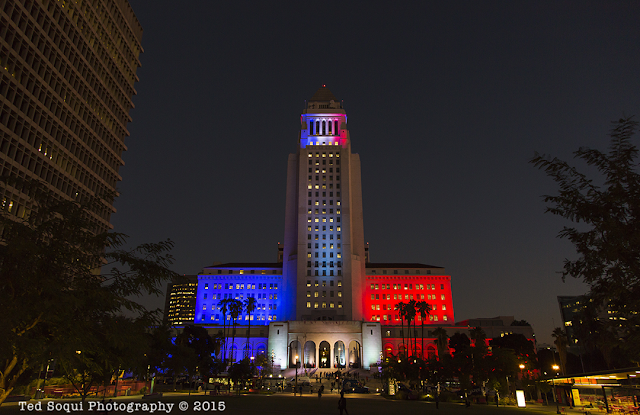 LA stood united with Paris as a sister against the brutal attacks. Many expatriots form France attended the vigil. 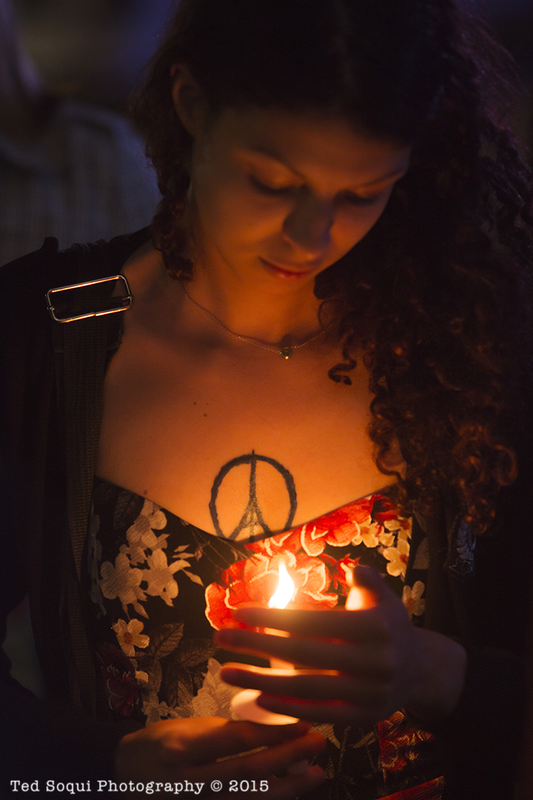 A french woman with a new peace symbol Eiffel Tower tattoo. LA City Hall lit up with the tri-colors of France. 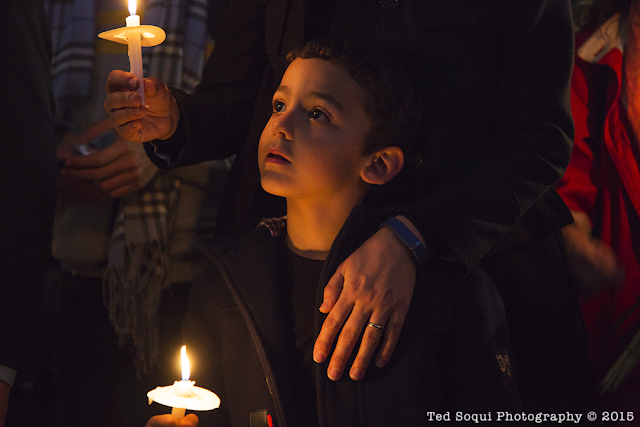 A young American boy who has French parents at the vigil.